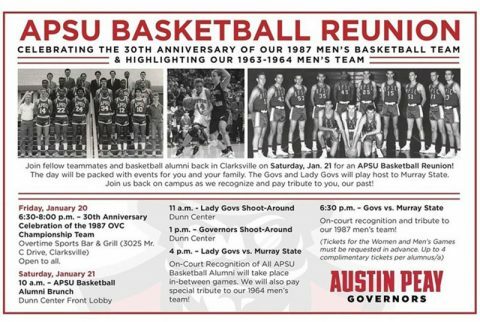 November 26, 2016 Archives - Clarksville Sports Network - Clarksville Tennessee's most trusted source for sports, including Austin Peay State University. 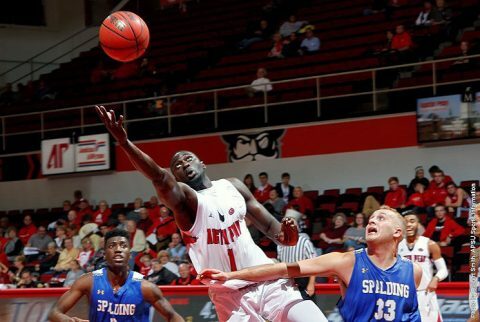 Clarksville, TN – Austin Peay State University men’s basketball team equaled its best start in the Dave Loos era after dispatching Spalding 82-63, Saturday, in the Dunn Center. 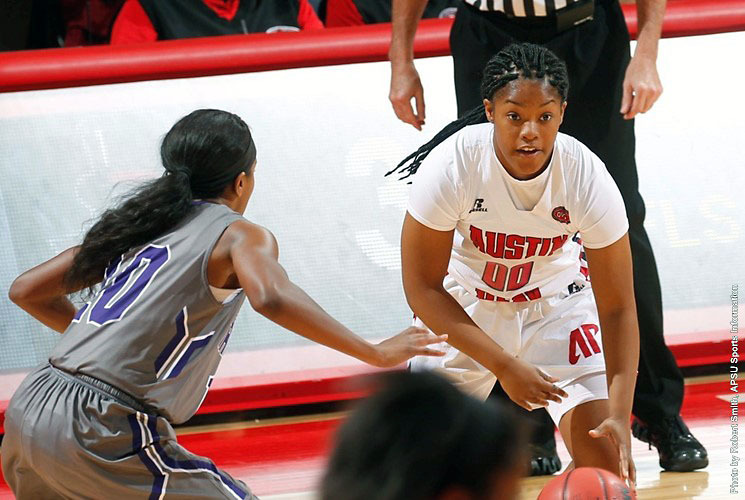 The victory moves Austin Peay to 4-2, equaling six-game marks set by the 2000-01, 2002-03 and 2008-09 under Loos’ direction. Orlando, FL – Austin Peay State University women’s basketball team came one point short of completing a second-half comeback against St. Bonaventure, Saturday, falling 58-57 in the opening game of the UCF Thanksgiving Classic in the CFE Arena. For the Governors (4-2), the loss snaps its four-game winning streak. Nashville, TN – Group outings and picnics are on sale now for the Nashville Sounds’ 2017 season. The Sounds host the Oklahoma City Dodgers on Tuesday, April 11th to begin a 71-game home slate at First Tennessee Park. 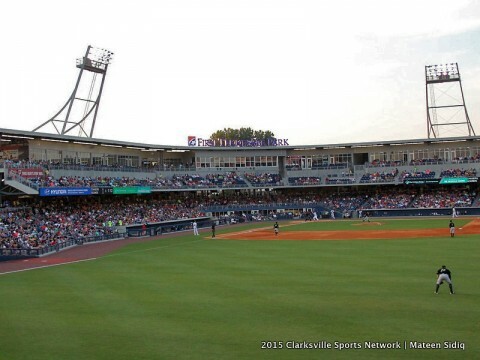 The Sounds offer several hospitality areas throughout the ballpark, ranging from premier group seating behind home plate to general group seating in the outfield. 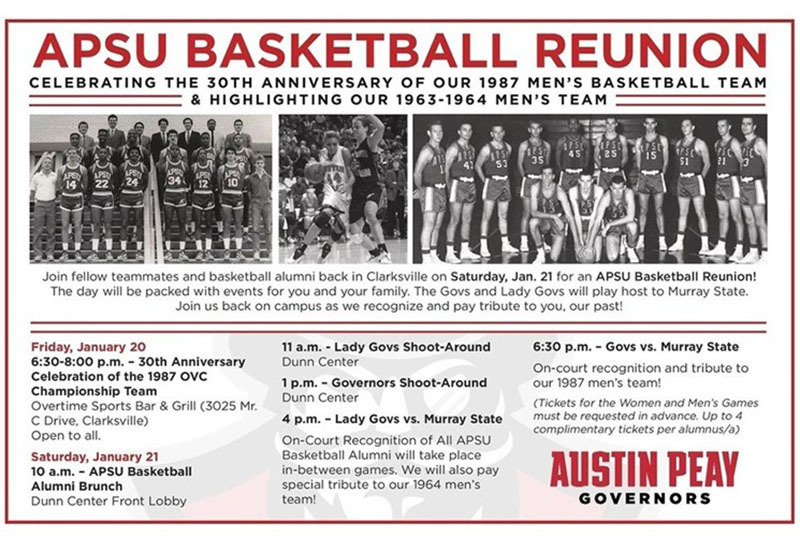 Clarksville, TN – Austin Peay State University athletics and the University Alumni Association will host the annual APSU Basketball Reunion, Saturday, January 21st, ahead of the doubleheader against Murray State.